>> How Does A Car Wash Work? How Does A Car Wash Work? Haven’t we all driven our car into a car wash at some point in time? Even if I use a pressure washer to clean my car, occasionally I love taking it to the car wash to have it caressed and cared for. Never hurts to treat the car like a queen and take it to a car wash for a good and extensive cleaning. It’s like a “car’s day out”. Most of us stand, stare and admire in awe as our dirty car goes in and comes out shiny, sparkling clean. But have you ever wondered how a car wash operates? 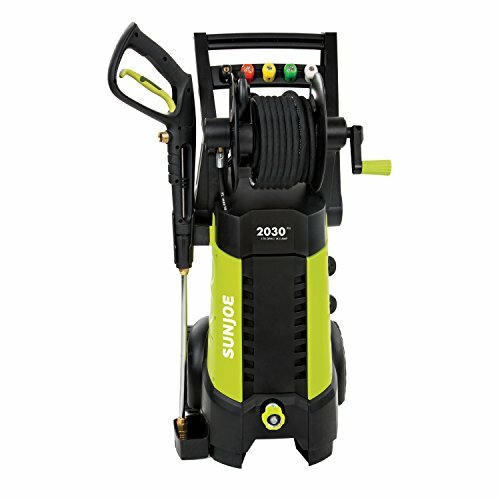 You will be astonished to learn that they use many tiny pressure washers to get the job done. 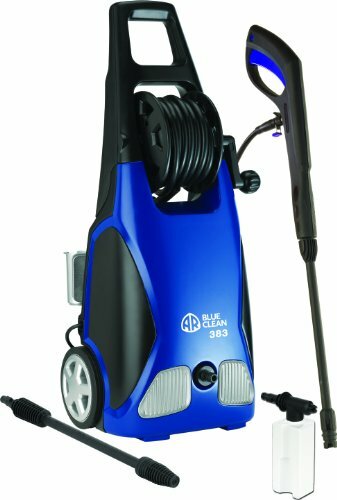 Basically, it is the same as using a host of pressure washers at home, some to spray solution, others to clean it. Detail Shop – It is like a full body treatment for the car, inside and out, with machines and people. Full Service – From cleaning to maintenance of the car, everything is done at once. Exterior only – The car moves on a conveyor belt with well designed automated parts doing the cleaning part one step at a time . Exterior rollover -Drive your car into the car wash, park and let the car wash do a fully automated cleaning, with the car rooted to one spot. Self service – Like the name suggests, you drive the car into the car wash, use the tools available there and clean it yourself, cheapest of all services. But How Do These Car Washes Work? The basic and underlying principle in all automatic car washes is the same, as discussed below briefly. You drive your car into the car wash zone or leave it on the conveyor belt, the idea is to get the car into place to start the cleaning process. The car wash has sensors that detect the presence of a vehicle, once they are turned on it automatically starts the car wash process. The car is sprayed with water from many orifices powered by a massive pressure washer to wet it down and remove loose dirt, dust as well as break down any compacted grime. Thereafter, a soapy solution is sprayed on the car from the sides, top and even on the tires, again using pressure washers. The car goes through the mitter curtain which moves back and forth along the length of the car rinsing and lathering the surface. Next, the foam applicator, which contains powerful and effective cleaning substances to get rid of all kinds of external marks and stains from the car, applies a thin layer of foaming solution on the car surface. First you soften your body with soap and then you scrub it clean to remove impurities, the same happens in a car wash. After the soap-up your car goes through scrubbers, which are vertical poles with cloth strips that move at high speed and lash against the car cleaning it in the process. The car then goes to the water zone where many pressure washers working in tandem hit the car with pressurized water at various angles to get the cleaning right. Yes, compared to your pressure washer at home, this wastes a lot more water but the effect is much more refined. Thankfully, much of this water is recycled and reused. Last but not the least, the car wash makes your car go through a rinse cycle where water is sprayed one more time to remove any last traces of the car’s travelogue through the car wash. This removes trace deposits of soap and cleaning solution that might have stayed on the surface. The car then finally goes through a wax process where various protective waxes are sprayed with a low pressure system for an even coating and then scrubbed lightly to get a glow out from the surface. In addition, the car at the last step passes through a dryer, which evaporates water still on the surface. As you can see, car wash works mostly on pressure washers built in tandem or a large washer that provides pressurized water to each section of the car wash. In short, your ubiquitous pressure washer at home is exactly what cleans your car at the car wash. Nevertheless, I love taking my car out to the car wash simply because of the immaculate finishing it always gets.